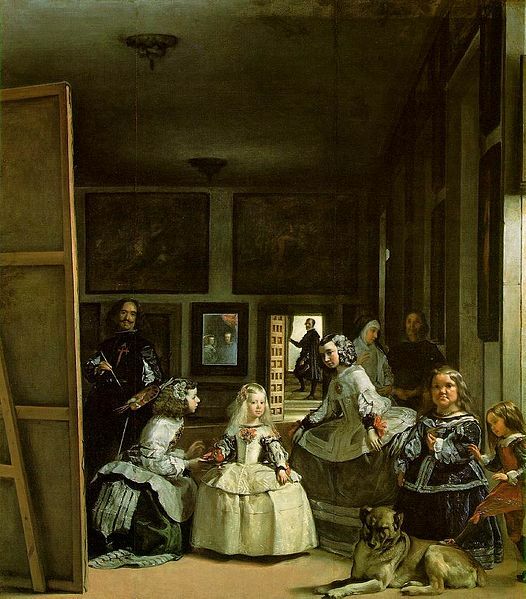 This is a painting Velazquez. It is 319 years old. When he was young he lived in Spain. In the painting there are seven girls and two boys and one dog.